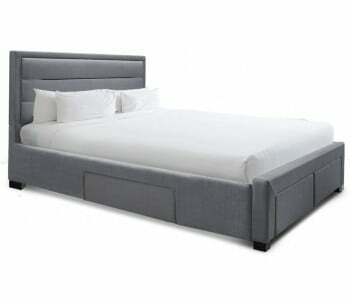 The Maroubra Dresser with Mirror reflects the modern stylishness of the Maroubra Upholstered Bed. This beautiful upholstered dresser comes with three spacious drawers and uses chic brushed metal tab handles for added style. Store your clothes, valuables and other bedroom essentials and create a clean and clutter-free room. 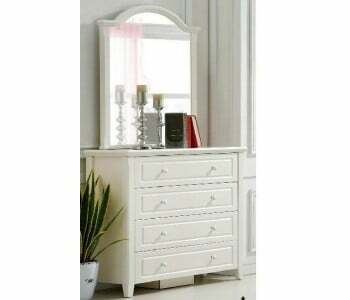 This dresser comes with a matching mirror with an upholstered frame. A smart addition to any room, the Maroubra Dresser with Mirror makes a great, long-lasting investment. All items in stock are eligble for Nexy Day Delivery for Sydney Metro Orders. Ask us if you can get your Maroubra Dresser with Mirror delivered to your bedroom by tomorrow!